Whith the LevelManager installed, during game the PrntScrn key function is altered. It places a screenshot named #)levelname.jpg in the screenshot-folder of the level in question. edit : was very confusing, still is ? Please resize your images. If you use a paint programme such as Paint Shop Pro or Photoshop, you can also resize your images using that programme. If you don’t have a paint programme like the above, and wish to post a picture from the web, use this free tool to resize your image. FREE ONLINE DIGITAL IMAGE RESIZER ? Now upload your images to a free image host. I use these ones. You can now use the IMG tag supplied with your uploaded image, to post your pictures on site. Image Shack also has a thumb nail option if resizing your image will degrade its quality. 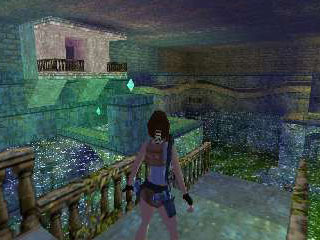 While in game, you can use the Tomb Raider screen shot function. On my keyboard it’s the ’ key. You may have to find your own key setting. You will know if your screen shot has been taken if the screen freezes for a second. Try watching Lara’s pony tail, if it stops moving, you know you have taken her picture. You can do this as many times as you like in game, all screen shots will be saved to your TRLE main folder. They will be saved as image files named Tomb0001 Tomb0002 and so on. When you leave the game, remove the image files or they will be saved over when you re load and take more screen shots. If you take multiple screenshots in succession, you can add these to an animation programme to make moving pictures. Lots of fun! You will now have to convert your screen shots to jpg, as TR screen shots arrive as tga files. Use a good paint programme to do this, like paint shop pro. Bring up your screen shot and save as jpg. You can also use the print screen key on your keyboard to take screen shots while in game. If you wish to take a screen shot of the statistics or inventory screen, you will have to use this function as the in game TR function doesn’t work for these particular shots. After hitting the print screen key, hit ctlr and esc to return to desktop. Bring up your paint programme and from the edit tab, paste your screenshot and save as jpg. Upload to one of the free image hosts and post your picture using the [IMG] tags supplied. Why? You can't just take someones work and add your own bits to it, and unnecessary bits at that.. So, if you would like to compose your own document then do so, but kindly refrain from adding to my work, thank you. I just had to laugh at that... I mean, it's not like people couldn't follow the links to gather more information about them (that's why they're links for starters). What a cheap ripoff on Val's work. Treeble wrote: (and a "?" hardly can be considered useful. Found another Image Resizer program. This one will also let you adjust brightness & contrast. Its free & there is no time limit on it. And it supports almost all languages. Hope I'm not duplicating what everyone already knows. guss18 wrote: Found another Image Resizer program. This one will also let you adjust brightness & contrast. Its free & there is no time limit on it. And it supports almost all languages.